I hope everyone is having a great week! I want to share with you the most recent addition to my oil painting portfolio, a 36″x54″ (big!) 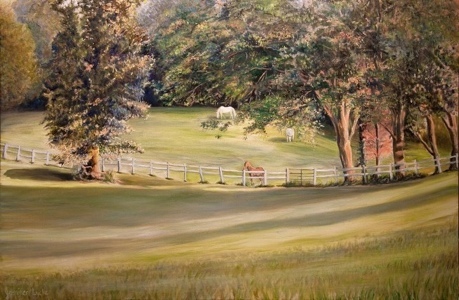 oil on canvas of a pastoral scene that I recently completed. This was created for a friend’s mom, based on the view from her house. If any photographers out there with experience with 500px and/or Zenfolio care to share their opinions of either site, please do!